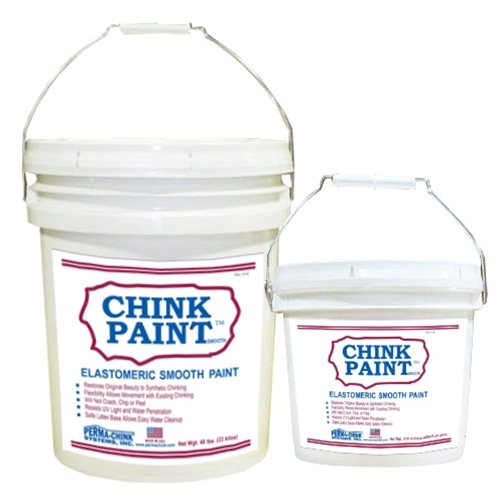 Chink-Paint Smooth is a highly elastomeric, non-textured, pure acrylic latex paint for renewing or changing the color of chinking. 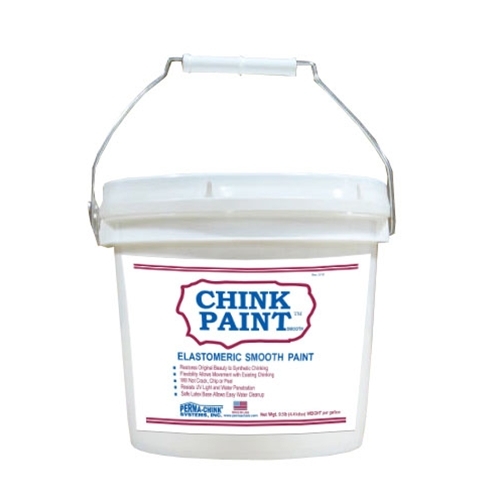 The elasticity of Chink Paint Smooth enables it to expand and contract with the sealant without cracking or peeling. This material makes it easy to complete the “facelift” process for your log home. Chink-Paint Smooth is ideal to use on your chink lines following a wood finish restoration. Simply wait for the stain to dry and apply a coat of Chink-Paint Smooth. Dina (05/11/18) - "This review is for Chink Paint. I just want to share my experience with this product to help others who are thinking to change the color of their chink joints. Chink Paint is very easy to use, just like heavier paint. I used it on the inside only. It made my log home look like it went thru a serious renovation. We painted light gray on top of medium gray - what a transformation. No odors and dries fast. Now I want to change the color of kitchen cabinets, thinking of using your Accents."